Natalia Conroy believes that the kitchen is more than just a workspace and a pantry. She views a kitchen like an orchard – a source of abundant meals that, with a little imagination, can come alive. The London cook and pop-up restaurant extraordinaire has funnelled these ideas into a new cookbook, The Kitchen Orchard – a fabulous collection of recipes focused on essential everyday ingredients and fresh, seasonal produce. Here, Natalia gives The Happy Foodie an exclusive tour of her personal cookbook collection, and explains why her cookbooks signify ‘home’. 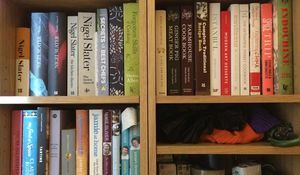 My cookery books have become the treasured documents of my journey with food and cooking; their battered spines and missing pages tell of the numerous different kitchens they have sat in since I left home and called quite a number of rooms and buildings ‘home’. 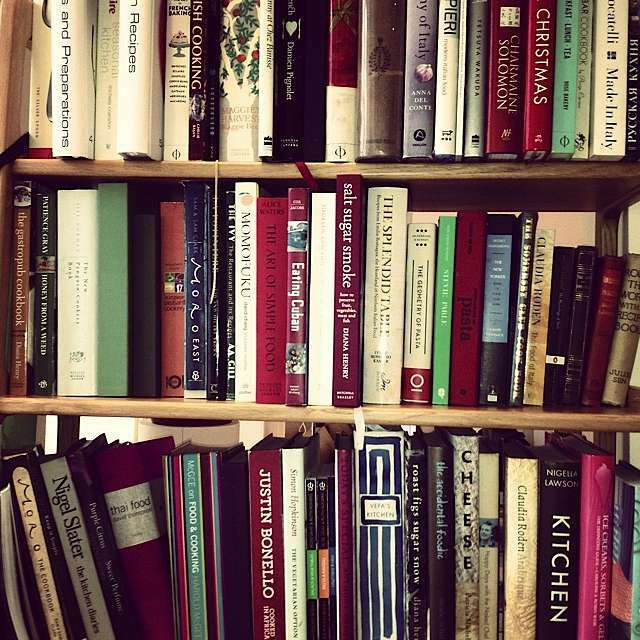 In the kitchen I share with my husband in piles and rows sit two chef’s journeys worth of cookery books. The earliest inscription is scribbled inside Alice Water’s children’s cookbook, Fanny at Chez Panisse. It reads, ‘Tasha darling, may this inspire you to become a great cook too! With much love for your fifth birthday’. 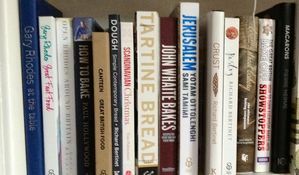 The inscriptions in my books immortalise for me the friends and family, fellow chefs and culinary experiences that have contributed to my food knowledge today, and these books are the ‘bricks’ that make home for me. The food in this book is the food I want to eat. The words inspire me not only to make the recipes, but to think for myself, and I feel encouraged to be at once pragmatic and dreamy. The sense of ‘far away’ that these recipes conjure for me is ambrosial. I particularly like the placement of Elizabeth’s food articles and ‘her very best everyday recipes’ side by side; what could be more useful to our lives than recipes for the ‘everyday’? 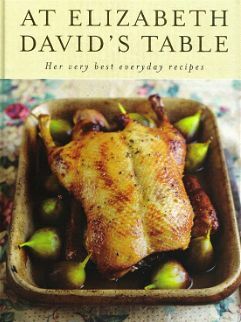 Elizabeth David is, without question, my greatest food writing inspiration. Over the years I have really found need for books that offer a kind of encyclopaedic knowledge of food and techniques. While more aesthetically indulgent books might be preferable for casual reading, the more specialised technique guides can give just as much enjoyment. Perhaps the greatest of these encyclopaedias is Harold McGee’s ‘On Food And Cooking’ – we now have it in two copies, with neither my husband nor I willing to give up our own. I found dipping into this book, especially the bit on emulsions after two months of splitting mayonnaise at The River Cafe, essential. I have chosen here another kind of encyclopaedia, which is specific to ice cream. 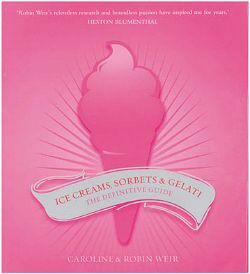 Ice Creams, Sorbets & Gelati really is a ‘definitive guide’ to these most delicious frozen desserts and it brims with inspiration and knowledge. If you love making ice creams as I do, or you’d like to try your hand, it is brilliant. 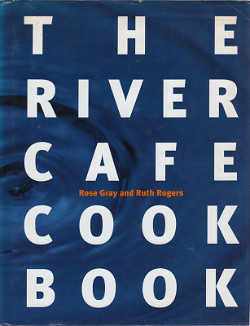 When we sat discussing ideas for the design of my cookery book, all I wanted to say was, ‘Can it look like the original River Café blue cook book? !’ It goes without saying that the recipes in this book, which I have had the good fortune to learn and cook in the restaurant itself, make up a good portion of my most beloved food. What I would like to highlight here, as there wouldn’t be a page long enough to discuss and celebrate the merits of these recipes, is the design. For my taste, there isn’t a restaurant cookery book out there that’s design and aesthetic makes me want to cook so immediately and with so much excitement. If, heaven forbid, I could only keep one of my cookery books, it would have to be this one. 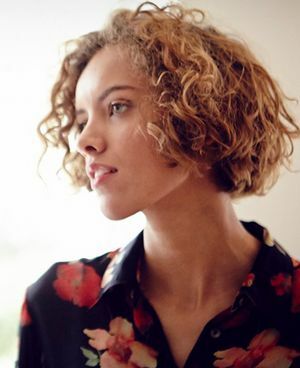 Crumb author Ruby Tandoh takes The Happy Foodie on a guided tour of her personal cookbook collection. Which famous authors lie on her treasured bookshelf? Take a look. As one half of the TOAST team, Sarah Chamberlain is responsible for some of London's most exciting and talked about food events. Here, she gives us a grand tour of her enviable cookbook collection, revealing the inspiration behind her love of home cooking.